Welcome fellow readers! Today I am part of the Devil's Garden by Brady Christianson Blog tour put together by the wonderful Tribute Books. For this stop Brady Christianson wrote up a guest post and did a Q&A. After you learn more about him and his book be sure to enter to win a copy of his book, Devil's Garden at the end of this post. Here is a big welcome to Brady Christianson! A Marine’s past is never far behind him, but sometimes it’s a lot closer than he thinks . . .
After years of enjoying the soft, quiet, civilian, family life, former Recon Marine Brandon Colson still has a large price on his head…only his family doesn’t know it. That is, until a heavily armed squad of terrorists breaks into his house and tries to kill him and his family. After swiftly dispatching the would-be assassins, Colson realizes the ghosts from his past have somehow managed to come back to haunt him. His worst nightmare has come true. His identity—a secret until now—has been mysteriously compromised. Something he did years ago, while on a recon mission during his tour of service, has kept anger burning in the hearts of powerful Arab adversaries. And the men who attacked his house are simply an omen of what is to come. With his family in hiding, Colson and local detective Sam Collier set out to locate and neutralize the remainder of the terrorist cell. It’s a race against time, and the plot they uncover along the way defies all expectation. Their fates in the balance until the last second, the two men must fight for their lives as they navigate a trail littered with bloodshed and revenge that leads straight to hell on earth: The Devil’s Garden. Q: Please tell us about your current release. A: My book is titled The Devil’s Garden. It will be available on Veteran’s Day, November 11, which is appropriate because the book is dedicated to the veterans of The War on Terror. The story is centered on two main characters who are military veterans, both of whom participated in such military campaigns. Q: Can you tell us about the journey that led you to write your book? A: I suppose the journey started when I was 17 years old and looking to join the military. I knew I wanted to serve in a specialized warfare unit like the Army Special Forces or the Navy Seals. So I did some research and talked to the recruiters. That was when I discovered the Marine Corps had this unit called “Reconnaissance.” To make a long story short, the Navy and the Army guaranteed me a spot in whatever specialized unit I wanted and offered me a hefty enlistment bonus. The Marines, on the other hand, guaranteed me nothing and I guess they decided to keep the bonus money. They only guaranteed that I would first have to prove myself against all the other Marines before I could even have a chance to try to become a Recon Marine. These words did little more than wave a red flag at a bull and dare it to charge. The Marines have a unique way of taking a young man’s pride and turning it into a work of art. Of course, I must admit not all art is pretty or pleasing. Q: Can you tell us about the story behind your book cover? 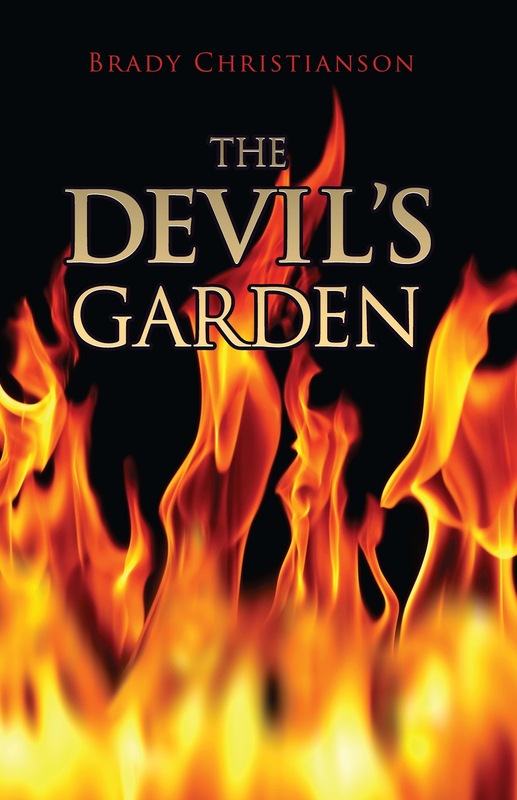 A: The Devil’s Garden is not just the title of the book. It is also an actual place in the wilderness of south-central Florida. It is a large geographic area with an old name that no longer appears on any modern maps. For the book’s cover I tried to visualize what kind of garden the Devil would keep. Instead of the Devil tending a field of crops, I see him fanning a field of flames and watching in delight as they grow toward the sky. Hence, the book’s cover is a field of flames reaching upward for its title. Q: What approaches have you taken to marketing your book? A: The book’s website is at www.thedevilsgarden.us . There you can read excerpts and order it directly from me. The book will also be available through online retailers and bookstores. We are sending out press releases and setting up book signing events. We are also using social networking as well as my own personal network of friends who are either still in the military or are veterans of the military services. Q: What book on the market does yours compare to? How is your book different? A: The book could be compared on many levels to any popular action-packed mystery thriller that involves a highly-trained military operative or agent who is pitted against a powerful enemy. However, I wanted to introduce a hero unlike any other, who is much more simple and yet, much more complex at the same time. I wanted him to be exceedingly more colorful, realistic and human. As such, Colson is a man of many faults, with a unique flair that is only amplified by his intelligence and the confidence that is required to obtain the title of United States Marine. He is impulsive, compulsive, and confrontational and yet has the capacity to be loyal, loving, gentle and kind. Moreover, I believe the most significant defining difference is Colson’s pure, unadulterated killer instinct which is only balanced by his unwavering faith. Q: What would you say is your most interesting writing quirk? A: I cure writer’s block by target practicing with my knives. I can spend hours throwing them. Focusing on the target helps focus my thoughts. Not to mention the fact that it is both fun and effective. Q: Open your book to a random page and tell us what’s happening. A: Page 151. Colson and Collier are patrolling through a forested area to the location where two fugitive Palestinian terrorists are hiding out. Colson is advising his new “hunting buddy” as to the dangers of the Floridian woods and wetlands such as the native predatory animals, poisonous snakes and spiders, as well as the dangers associated with booby traps when infiltrating a bomb maker’s lair. Needless to say, this is a matter of great concern to Collier who quickly decides he would have been better off not knowing. Q: Do you plan any subsequent books? A: Yes. I do have a sequel in the works. In rough draft form, it is about a third of the way done. Q: Tell us what you’re reading at the moment and what you think of it. A: I am nearly finished reading Biblica, which is a social and historical treatise on the many lands and cultures of the Bible. It is a wonderful and detailed work which only fuels my desire to take my family on a tour of the ancient world from Rome to Constantinople to Jerusalem to Cairo. I’d like my family to experience the lands of the exodus, the lands of promise, and the Kingdom of David, the paths of the Apostles John, Peter and Paul, but most importantly, to see where Jesus journeyed, preached, suffered, died and arose again into glory. 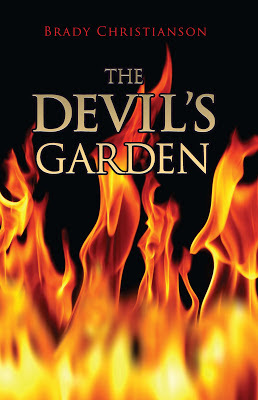 Use the rafflecopter form below to enter to win an E-Book (PDF) copy of Devil's Garden! Thank you Tribute Books for this giveaway! Christie, thanks for giving all those thriller/mystery/suspense fans out there, a chance to win Brady's book!